Creating smart applications to reinvent your business. We are an app development company with expertise in multiple verticals ranging from education to logistics and financial services. Our goal is to provide quality application development services at an affordable cost through our innovative processes which are based on sharing industry best practices. Whether you are just starting your business or fortune 500 company, we are the right technology partners for your business. You have a great idea and want intuitive well-researched UI/UX designs for your POC? Our design team is experts in converting your business requirements to beautiful user friendly designs. 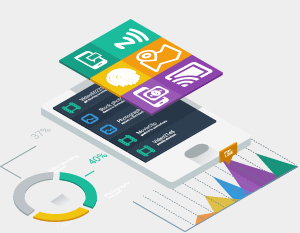 We have developed tailor-made Mobile Apps which not only extends the Enterprise Applications, but also capitalizes on the unique capabilities of modern smartphones. Helping field agents find their nearest customers using mobile location, scan the bar/QR code using phone camera, authenticate mobile payments using Apple Pay, Android Pay and more. Do you have an old application lagging behind the latest mobile features and are looking for ideal partners to help you with upgrading your app? You have come to the right place! Our vastly experienced team comprises of people from all areas making it easy to understand and come up with an optimal plan for enhancements. 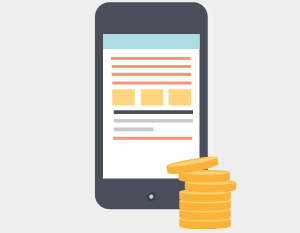 Do you have a mobile app or an idea and are looking for ways to monetize it? We help you identify and evaluate various monetization options from in-app purchases to data monetization that suits best for your application and user base. We also help you integrate frameworks needed to achieve it smoothly. We are experts in developing apps for iPhone, iPad, Apple TV and Apple Watch. We develop innovative apps for Android smartphones, tablets, Android TV and Smart watches. Our hybrid app team has expertise in popular hybrid frameworks, such as Phonegap, Xamarin, React Native and Ionic. SynLogics achieves best standards of mobile OS platform and design in helping the App user get more things done in less clicks. 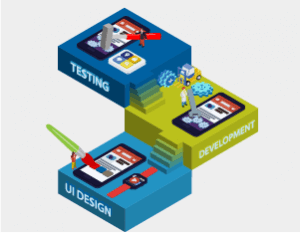 We develop a user friendly interface, focusing on usability which is a key for building a successful mobile application. We understand that getting users on-board in a seamless way is one of the most critical component. Therefore, SynLogics' provides users the ability to use their social logins is a great way to achieve it. It also reduces efforts in user profiling & analytics, provides an easier way to share content to social channels, keeping new users engaged and thereby, increases your online presence. Using push notifications for intimating the various offers, discounts and loyalty points helps in building brand loyalty and makes your customers remember you vividly. We will not only help you in being heard better, but also boost your customer engagement. Worried if your App may fail to work when offline? We help you build offline features for mobile App which can enhance user experience and ensures that the data is never lost. We help optimize your app for better usability and simplicity. 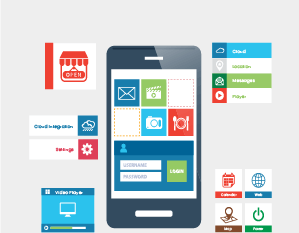 SynLogics helps integrating analytics into mobile App which can help you understand important factors like the average time user spent, conversion rates for each product and click-through rates which can help you customize your offerings for better revenues. We make mobile Apps which are ready for user feedback. Whether it is a simple form or an instant chat, App users can report their feedback easily. Analyzing customer feedback can go a long way in improving application user experience.